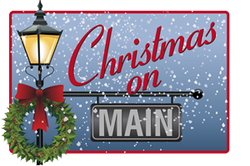 The free events and activities during Christmas On Main would not be possible without the generosity of the following people, businesses, and other organizations. We thank each of our sponsors for their contributions. Choice Windows, Doors & More Inc. Thank you to the people and organizations that have contributed to Christmas on Main 2018! Hay Rides - New Holland N.A.